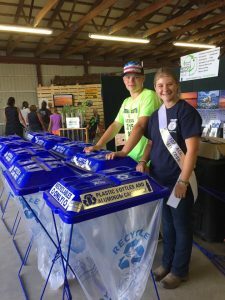 Would you like to recycle at your next event? The Depot can help! 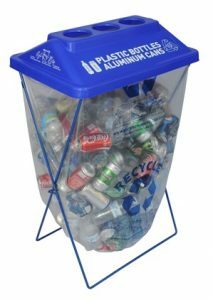 We have portable ClearStream X-Treme recycling bins available for use at parties, festivals, sporting, and community events. The Depot will provide you with up to 8 bins with bags for a $25 cash deposit at the time of pick-up. Stop by the Depot to fill out an application or just call us at 574-935-8618 to fill one out over the phone. Additionally, drop us an email and we can communicate that way. Set up a time to pick up and drop off the bins. All bins must be returned to the Depot on time and in their original condition after your event or you may lose part of your deposit. An additional $10 will be charged if bins are damaged or missing. Pat yourself on the back: you are a recycling superhero!